Šťastný nový rok! Happy new year! Fröhliches Neues Jahr! Buon anno! с Новым годом! あけましておめでとう Bonne année! Feliz año nuevo! 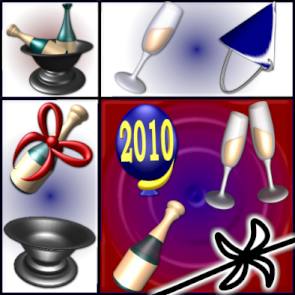 New years icons in .ico format.